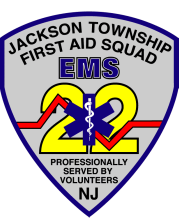 Jackson Township Emergency Medical Services is required by law to maintain the privacy of certain confidential healthcare information, known as Protected Health Information or PHI, and to provide you with a notice of our legal duties and privacy practices with respect to your PHI. Jackson Emergency Medical Services is also required to abide by the terms of this notice currently in effect. You can complain if you feel we have violated your rights by contacting us using the contact information provided at the top of this form. ​Our Uses and Disclosures:How do we typically use or share your health information?We typically use or share your health information in the following ways.